This is a pretty big deal for a few reasons. Mainly, the ability to communicate with people one on one, without having to follow them first. According to Twitter, “only a handful of accounts have these features presently,” but it will expand on a gradual basis to more accounts. One of the biggest additions is the ability for businesses to accept direct messages on the service, even from people they don’t follow. Twitter has a new feature for businesses: the ability to accept direct messages from any of their followers, regardless of whether they follow that person or not. This is huge for businesses that perform customer service via Twitter; they can get feedback and deal with private customer issues without having to follow the person back first. The microblogging startup seems focused on getting more businesses the tools they need to effectively manage their Twitter accounts. 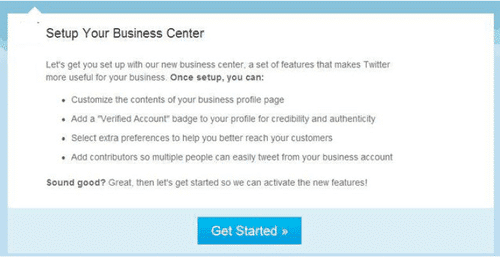 There are no details yet about how much Twitter will charge businesses for these features. For now the company is refining and testing its Twitter Toolkit before its eventual public debut. « How much is a Facebook Fan Page worth?